Older furnaces are, unsurprisingly, less efficient. 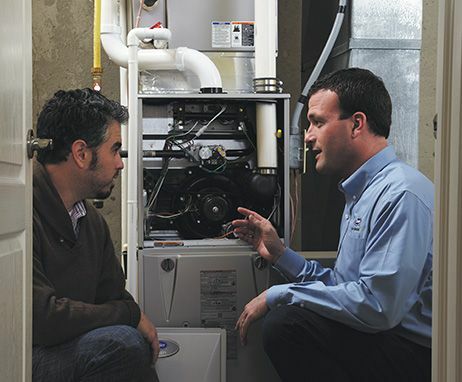 The average lifespan of a furnace is about 20 years. Depending on how much fuel your furnace wastes, you can calculate how much money you're unnecessarily spending each month. The AFUE number describes the percentage of fuel consumed and how much is wasted. If you don't know your furnace's AFUE rating, you can call the manufacturer with your serial number to find ou. The significantly lower engery bills that come with a newer, more efficient furnace can help you recoup the expense of replacing your system. The EPA recommends that you replace your air conditioner if it's over 10 years old. A new system will operate more efficiently and, in turn, save you money on your energy bill. Whether you decide to repair or replace, Sandium can help.